Running from a past that haunts her, Abby Knightly is drawn to the cozy town of Wishing Springs, Texas. Maybe this small town could offer hope and healing and a future for Abby . . . if she's brave enough to reach out and take it by the reins. Bo Monahan isn't interested in the new romantic destination his little town has become---or the women who might be looking at him like he's their next Mr. Right. Between taking care of his Pops and his growing stirrup business, he isn't looking for serious romantic commitments. But when the infant son he never knew about shows up at his doorstep, his world is turned upside down. This confirmed bachelor might not think he needs a wife, but he sure needs help. Even Abby can see that, and despite her best efforts to keep her distance, she can't help but be drawn to this new father-son duo. As Abby throws herself into helping Bo navigate fatherhood, hope sparks between them, revealing that maybe, just maybe, they can navigate their dark pasts and emerge together into a future as bright as the Texas sun itself. "Counting on a Cowboy" is such a fun and sweet read; Debra has done an excellent job with this book of hers! I loved the storyline, the setting and the characters and thrown all together creates an irresistible book! Abby is trying to start her life over and she thinks that the best way to do this is with a move. What I love about this book is the realness of the characters as Abby was faced with choices and she was not 100% sold on her choices and not positive that they were the right thing for her to be doing. How often each of us are faced with choices and waffle back and forth not really sure. When Bo is faced with having to make a choice and feeling lost, and Abby helps him out, it seemed clear that she was where God wanted her to be. I love seeing God in moments like this in life and being reminded that He is in control of His plans for us. I highly recommend this book and series and am eager for book #3! Travel back in time to 2450 B.C. Egypt in @ContrerasSonya's new book! Can you trust a God Who destroyed a nation? See God free His people from Egypt's bonds before a watching world. Trace His Finger in the lives He touches. The time: 2450 BC. The Place: Old Kingdom of Egypt where Pharaoh is god. His people worship him. Israel's God arrives. He challenges Pharaoh. His power touches all people. They must change. Some do not concede. They suffer. Others yield. They find freedom. Until My Name Is Known brings all to see the one true God. Read it to see Him. Today's historians and archaeologists puzzle over the fall of the Old Kingdom of Egypt, But the world at that time heard of God. The world knew that He is the Lord. His Name was proclaimed in all the earth. Growing up with five sisters, Sonya Contreras asked God many questions, even when she did not like His answers. Graduating from Cedarville University and Institute for Creation Research with a Masters Degree in Science Education did not stop her questions. Marrying her best friend and homeschooling their eight sons, she found that dreams do come true, in spite of unanswered questions. Sonya Contreras' book, "Until My Name Is Known" is book #1 in her Tell of My Kingdom's Glory series. This book is a detailed account of Moses and Pharaoh and their interactions when Moses comes to free God's people. I love how this book gives a more detailed account of this portion of the Bible. What I especially loved about this book is told from multiple points of view so it gives a more thorough telling of the story. This time period along with the events, such as the plagues and just the hardships everyday that were suffered, but then also the moments of rejoicing and hope. The amount of details that are included create such a complete picture and really brought these people and this Biblical account to life. I am eager to read more in this series. Thomas Locke is a pseudonym for Davis Bunn, the award-winning novelist with total worldwide sales of seven million copies. His work has been published in twenty languages, and critical acclaim includes four Christy Awards for excellence in fiction. Davis divides his time between Oxford and Florida and holds a lifelong passion for speculative stories. As Thomas Locke, Davis is also the author of Emissary. Learn more at www.tlocke.com. 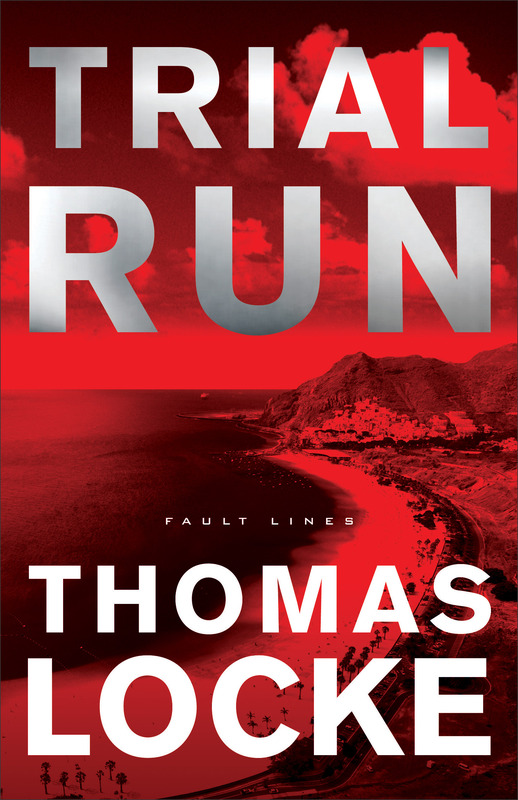 "Trial Run" is a thrilling read that will consume your thoughts and keep you trying to figure things out until the end. This book is a mix of suspense and science fiction and I have to admit I felt a little lost at first while reading it. There were so many things going on and so many players in the story that I had trouble keeping everything and everyone straight, but once I got further into it, things became to make more sense and become clearer. This book is a mix of real life and also psychological and out of the body experiences, which added a fascinating aspect to the book. I am interested to read the second book as now I am into the story and curious as to what will happen next. Susan Anne Mason's debut historical novel, Irish Meadows, won the Fiction from the Heartland contest from the Mid-American Romance Authors Chapter of RWA. A member of ACFW, as well, she lives outside of Toronto, Ontario, with her husband and two children. I was excited to read Susan Anne Mason's debut novel, "Irish Meadows" and I enjoyed the novel and am eager for novel #2 as I am curious to see which characters will play prominent roles and if the story will continue. James has expectations for his daughters' futures; however, the girls, Brianna and Colleen, do not have quite the same ideas. Set in 1911, things were much different than now as far as marriage, arrangements that go along with that and the family's role in this whole thing. I thought that the author did a great job with setting the scene and bringing the time period to life. I enjoyed all of the historical details in this book and the relationships and the development of the characters. The sisters are alike, yet so very different as is the journey they are both on. I loved the additions of Rylan and Gilbert to the story and to their lives and the twists and turns throughout. I recommend this book to historical fiction fans and Susan Anne Mason is an author I am going to follow. Are you stuck in the wilderness known as midlife misery? Can you name the day you became a Christian but can’t remember the last time you defeated a temptation or experienced an answered prayer? Find encouragement in Max Lucado's new book, Glory Days. With God’s help you can close the gap between the person you are and the person you want to be. Like Joshua and the Israelites, you can move from a wilderness existence into a promised inheritance. Now through August 31, 2015, pre-order Glory Days and receive free gifts! Pre-order one copy of Glory Days (any format), and receive a free digital download of the abridged audio version of In the Grip of Grace by Max Lucado. After you've pre-ordered, please claim your free gift by submitting your email and proof of purchase at GloryDaysBook.com. Pre-order one copy of Glory Days (any format) AND one copy of God is With You Every Day (Max's brand-new, 365-day devotional—any format), and receive both the abridged audio version of In the Grip of Grace and a paperback copy of Traveling Light by Max Lucado (U.S. addresses only). After you’ve preordered, please claim your free gift by submitting your email and proof of purchase at GloryDaysBook.com. Pre-order today and get your free gift by clicking the icon below. But hurry, the offer ends on August 31, 2015. I always find Max Lucado's books easy to read and applicable to life; his latest does not disappoint. "Glory Days" is a study of Joshua and is a guide and an encouragement to helping the reader live the promised land life. There are Biblical accounts shared along with personal stories throughout the book and the book flowed so nicely and it was so easy to pick it up and read when I had a few minutes. I really enjoyed this book overall, but there were a few sections that stood out to me. One section is the chapter that focuses on Joshua 6 and the story of Jericho. In here, Max shares, "Keep walking. For all you know this may be the day the walls come down. You may be only steps from a moment like this." The other chapter that really stood out to me was the Don't Trust Stuff chapter. It is so easy to get caught up in things of the world and everything that is deemed important today, right this very moment; however ultimately that is not what is most important and God is the one who will be the one to always be there and catch us each and every time. A Heart's Home (Thomas Nelson, August 2015)Emmie's hope for a life with Isaac is overshadowed by a tragic loss at Fort Phil Kearny. About the author: Colleen Coble has sold over 2 million novels worldwide. Seagrass Pier, the third installment in her acclaimed Hope Beach series, marks a new highpoint for emotion and complexity in Coble's addictive brand of romantic suspense. I have really enjoyed Colleen Coble's A Journey of the Heart series and was a little sad to have it end as I loved this series and all of the characters. I really liked the ending though and the character development throughout the six novellas. Sarah and Rand faced so many trials in their lives and I loved the characters that were introduced and brought into their lives throughout the series as well especially Emmie who became a favorite of mine in the last two novellas. Emmie has faced many trials in her life from her childhood to her late husband and now to heartbreak and loss of a close friend whom she made a promise to. I felt like Colleen did an excellent job with setting the scene and bringing the time period to life. The uneasiness and tension that was a part of every day life. The characters were also so real and I felt as if I was experiencing the whole range of emotions along with them as they experienced love, new friendships, hope and welcome along with sorrow and loss. I highly recommend this novella series for historical fiction fans. "Waiting for Morning" is a Karen Kingsbury novel, that just like all of her others, is impossible to put down once you start reading. Hannah is living the perfect life with her husband and their two teenage daughters. In an instant her world is completely turned around when they are in an accident involving a drunk driver. Hannah becomes consumed with making sure the drunk driver is served justice. Karen does a great job with addressing this difficult issue. A man chooses to drink and drive and he is survives while others are killed, where is God in this? This is a question that Hannah struggles with and so many others do as well. Karen does not sugarcoat the situation or Hannah's feelings and her struggle with dealing with the tragedy. This story is so real and the characters just became a part of me while I was reading this and I shed tears along with Hannah. Continuing to have faith in God and not becoming consumed with hatred so that forgiveness is not an option is so difficult but so important. This is heart-wrenching and emotional read, and one not to be missed. For more info about this book, go here! "The Sea Keeper's Daughters" is the latest Lisa Wingate novel in her Carolina series and it is amazing! Whitney and her cousin Denise own and run two restaurants, this is Whitney's dream. However, the opposition that they are facing and the ongoing battle with one man who just wants to put them out of business is making them face and consider desperate measures. When Whitney receives a message that her step-father is in the hospital and should not be living on his own, she reluctantly returns to the home where her mother and step-father lived and where Whitney spent summers with her mother and paternal grandmother. Whitney is forced to face her feelings toward her deceased father whom committed suicide when she was young and her feelings of not being good enough. Whitney's original plan is to sort through the belongings and make some quick money in order to save the restaurants, but sorting through these items bring back memories and Whitney is drawn into her family's history and finds herself immersed in trying to unravel secrets that have been hidden for years. One of the things I love about Lisa's books are the many tidbits of wisdom tucked in among the story and in this book, there were many! Whitney is a wonderful main character as she was so likeable and easy to relate with and cheer for. She also is a character who grew so much throughout this book. Whitney has so many hurts and insecurities from her past and her interactions with others now are a reflection of that as well as how she feels about herself and how she is living her life, guarded. I loved the interactions that Whitney has with Clyde, Mark, Joel and even Casey as she slowly lets down her guard and is constantly reevaluating her life based on things she is discovering about her past and her family and also how her heart is changing due to these individuals whom have become a part of her life. Although, Whitney is the main character in this book, so many of the other characters play prominent roles and their stories are shared throughout this book as well which I loved. I was not expecting some of the secrets that were revealed and some of the events, but I loved them all! There were several times that I was in tears while reading as this story just really tugged at my emotions and there were moments that I was cheering aloud. I am also wondering if there will be another book in this series that will share the stories of a few of the characters' whom stories were not completely shared yet. I highly recommend that the other Carolina novels and novellas are read before this one as the stories continue to build upon each other and there is overlap of characters. Also, they are all such incredible stories that you do no want to miss out on any of them! I was so excited that Sarah had a new series coming out, I have enjoyed her previous series and reading about the World War II era. "Through Waters Deep" is such a great start to this new series and now I cannot wait for book #2 to be released! Mary and Jim are both wonderful main characters as they became so real and they were easy to connect and empathize with. They are both struggling with some things in their lives and they are forced to work together to discover what is really going on and whom is behind it. I love the suspense that is tied in with this story and the romance that is throughout. I also enjoyed the minor characters and I love how Sarah introduces them in the first book and then continues on their stories in later books in the series. This is a well-written book that was easy to get lost in as I did not want to set it down once I started. The time period is brought to life and the characters are so well-developed; this is a perfect summer read! 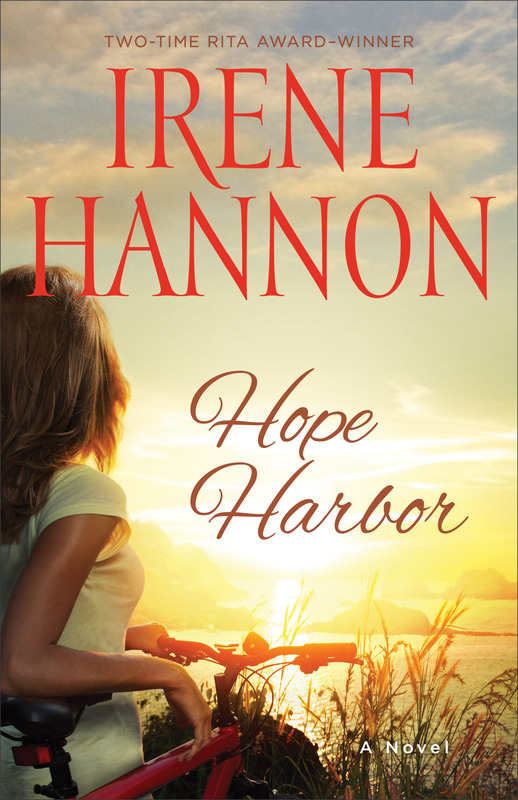 I am a huge fan of Irene Hannon's books, both her romantic suspense and her contemporary romances and I absolutely loved her latest, "Hope Harbor." This book is set in a sweet little town called Hope Harbor, which is home to a family run cranberry farm, and also nice, well-meaning individuals, but also hurting individuals as well. Tracy has had to deal with heartache and now she is trying to keep the cranberry farm afloat and also trying to lead an organization through the church, but she may be in over her head. Michael is struggling to find peace following heartache in his own life and has come to Hope Harbor to find that, but things do not go according to his plan, but it seems that God has placed a few individuals in his path to help him find this, but Michael will be helping others as well. I really enjoyed this storyline, the setting, the characters, everything. Irene does an amazing job with creating the town and introducing the characters, uncovering bits and pieces of their pasts and personalities a little at a time while intertwining their lives. This is a great story of hope and healing and also sweet romance. I highly recommend this book and her other books as well! "No one, no one, has God given the gift of words like he has to [Amber]." "Wild in the Hollow captivated me from the first page. Amber's brave story invites us to explore our own broken places as she beckons us to wholeness and healing. This honesty inspires freedom in the church." "I want people to read this anointed book for dozens of reasons: Amber's voice, her writing, is incomparable to anything you've read before. But even beyond that gift, she writes about desire, our longing for home, with a deeply orthodox and yet mystical and sensual soul. This book made me feel homesick and at home all at the same time. Only Amber could so beautifully and rightly write into the parts of our human experience that usually defy words. I loved Wild in the Hollow." "How can a woman with a story so different from my own be telling my story too? Amber Haines has found a way, and I am deeply grateful for her artistry, her honesty, and her courage. Her story splays out like a pathway, her voice leading us forward like a mother, a prophet, and a child, each word a stone marking the way to the kingdom of God. This captivating book has stunned me speechless." "Amber Haines is a once-in-a-generation voice, and her lyrical, poetic writing is truly high art. Through her own story in Wild in the Hollow, she moves us back to the place we all long to be--deeply intimate with and known by God. It's a journey that doesn't overlook brokenness but rather illuminates a God who is ever-present in the midst. This book is a true gift, and I have more hope because of it." Amber C. Haines is a soulful writer and a blogger at TheRunaMuck.com. She is curator, with her husband, Seth, of Mother Letters and is a contributor with many acclaimed writers and bloggers at DaySpring's (in)courage. She has been involved as a coordinator with both BlissDom and !dea Camp Orphan Care and continues to build meaningful relationships with church leaders, lifestyle bloggers, authors, advocates, and poets. She lives in Arkansas. "Wild in the Hollow" is such a honest, heart-wrenching account that Amber shares of her life, the highs and the lows. Amber begins with how her childhood, beliefs she was taught and way she was raised and then how she strayed from those as she got older. This is an awesome story that shares how one can move on and overcome being at such a low point and God's grace and healing power in one's life. This is a quick read and completely engrossing as it is written in such a way that you cannot put it down and Amber shares her heart, holding nothing back. Such an inspiring book that will encourage each and every reader. 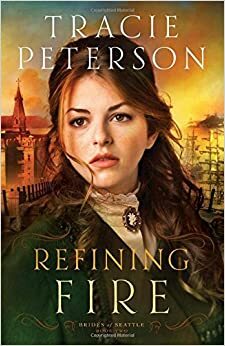 "Refining Fire" is such a well-written historical fiction novel that I highly recommend it; however, I would recommend that "Steadfast Heart" be read first as that is book #1 in the series and the story really begins there. Militine and Thane are both adults trying to be free from their traumatic childhoods; however one's childhood plays such a huge role in shaping who a person is and determining their future. I so enjoyed spending time with these two as well as their friends, the rest of the main foursome, Abrianna and Wade. Set in Seattle in the late 1800's the time period is brought to life and is such a great backdrop to these characters' stories as they are trying to start fresh, find peace, make something of themselves and also find love. The characters are so real as they are dealing with circumstances that are relatable and I loved seeing the bond develop and grow among them. I love the time period details interspersed throughout the book and the vivid descriptions as everything was brought to life and I am looking forward to book #3! In the most turbulent decade of our nation's history, four Southern women---destinies forged by birth, hearts steeled by war---face near impossible choices on their journeys in life . . . and in love. "Among the Fair Magnolias" is an excellent novella collection that is set in the time period of the Civil War, which is a time period I enjoy reading about. Each of the four main characters are seeking to find their right place in life, in general and with their hearts, as family expectations and societal expectations play a role in determining life's direction; however their hearts do as well. I loved how the collection began with Abigail's story and the family setting up their summer home and hosting a get together as it was a perfect read for this time of the year. There are secrets, and romance throughout which will keep you turning the pages.